Information and communication technologies play an important role in formation of human capital, Deputy Education Minister of Azerbaijan Firudin Gurbanov said at a ceremony of presentation of winners of the Microsoft Imagine Cup Azerbaijan contest on May 15. He noted that human capital is formed either thanks to education or outside of it. "Participation of students in Microsoft Imagine Cup is the second opportunity for them and direction for formation of human capital. In the future, such a significant intellectual competition will play an important role in career growth, in choosing direction of activity and will allow to stand competition in the labor market. I can cite success of Lankaran Lyceum's graduate Rustam Hashimov as an example. After graduating Lankaran Lyceum, he began to study at a Turkish university, in 2014 he got a job at Microsoft, and now he works as a leading specialist at the head office of Facebook," Gurbanov said. 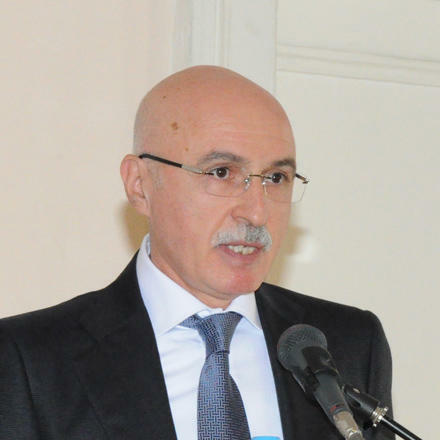 Introduction of ICT, according to him, is stipulated in the 2013 State Strategy on Education Development in Azerbaijan. Under this strategy, computer science is taught in schools from the first to the 11th grades, and specialists in information technologies are trained at universities. "IT is widely applied within the process of informatization and education management. For example, today enrollment in the first classes, recruitment of teachers, transfer of students, etc. are carried out using IT. This does not require a visit to the ministry and does not require the use of paper carriers. All is carried out in electronic form," the deputy minister said.